Ernst Lubitsch had a sensational end run, with TO BE OR NOT TO BE, HEAVEN CAN WAIT and the less celebrated but easily equal CLUNY BROWN. Before those three is the less stellar THAT UNCERTAIN FEELING, but then you have THE SHOP AROUND THE CORNER and NINOTCHKA. The only blots on this celluloid landscape are the Preminger intrusions, A ROYAL SCANDAL, produced and heavily supervised by Lubitsch, and THAT LADY IN ERMINE which Lubitsch began but died before finishing, with Otto Preminger stepping in to complete, uncredited. A ROYAL SCANDAL isn’t all that bad, and it does have a wonderful moment where William Eythe (of Who the hell is William Eythe? fame) steps out of a tight two-shot with Tallulah Bankhead, paces the room, distracted, and is then surprised to have himself wind up back in a tight two-shot with Tallulah Bankhead, who has nipped round the back of the camera, unseen, and positioned herself in his path. A witty, self-conscious and wonderfully silly use of screen space. THAT LADY IN ERMINE doesn’t have the benefit of a live Lubitsch to watch over its late production and post-production, and so it’s a lot more uneven. Still, it’s not exactly terrible. Preminger’s broad, ham-fisted approach to comedy (see SKIDOO and Vincent Price’s delicious line, “Otto had the sense of humour of a guillotine,”) pushes through the smooth understatement of Samson Rafaelson’s script, to create a giddy sense of goofiness that doesn’t feel under anybody’s control. Hard to know if that script would have played markedly better under Lubitsch’s baton, because there’s a prevailing sense of derangement. The movie is a kind of operetta, with a few songs (by Frederick Hollander, so not bad, but not his best) and a Ruritanian setting. So it’s harkening back to Ernst’s early 30s Chevalier productions at Paramount. But, as they say, something new has been added, or several somethings. First, Technicolor™! While it’s true that the colour in HEAVEN CAN WAIT is a little ugly and adds an unwanted heaviness to the proceedings (20th Century Fox tended to pump up the chroma to almost Goldwynesque levels of vulgar intensity), it really can’t harm such a surefooted and charming work, any more than the sexism and the contortions to get around the censor can. 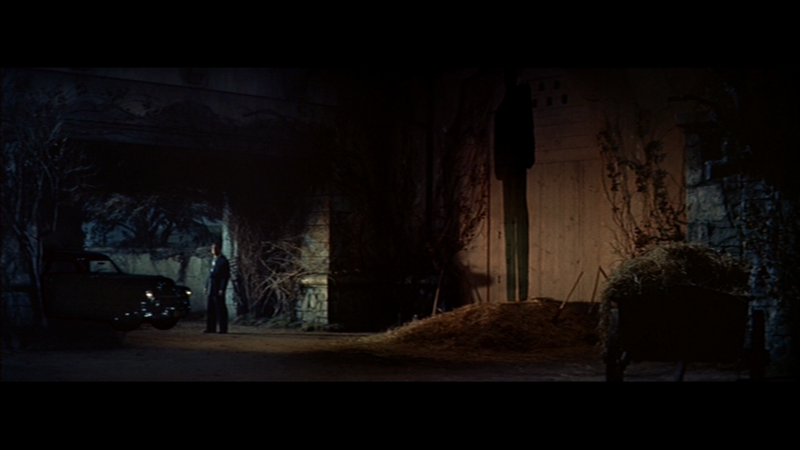 Here, with less ideal circumstances, the colour does hurt, even though it’s cinematographer Leon Shamroy’s trademark golden honey light and cobalt blue shadows, which I usually like. ladled over fairytale kingdoms and dream sequences and Hungarians, it gets a tad gooey. Then there’s the cast. Lubistch had a genius for getting adept light comedy perfs out of unlikely thesps. Preminger didn’t. Lubitsch knew he could coast along on the sheer surprise of Gary Cooper being funny, and Jack Benny being dramatic (and funny). Here we have Betty Grable, who’s sometimes funny, and Douglas Fairbanks Jr. who can play anything, but can’t BE a husky Hungarian warlord. Preminger has good fun with his fatuousness, which Lubitsch might have tamped down. Further down the list, Reginald Gardner returns from CLUNY BROWN as milquetoast cuckold #1, and Cesar Romero plays milquetoast cuckold #2 a little uncertainly, as if he’s not quite sure why his character’s meant to be funny. His presence along with Grable’s recalls Preston Sturges’ THE BEAUTIFUL BLONDE FROM BASHFUL BEND, another late film, the following year, where “Butch” is even more miscast. Fox films had this problem a lot, it seems to me — the contract players got shoehorned into movies they weren’t suited to. Walter Abel is a skilled farceur, and some of the weird innuendo is pleasing — there’s a sense of a sado-masochistic thing going on between Abel and Fairbanks, his superior officer, which is amusing. Plus, gratuitous Harry Davenport. Betty sings, several times, a song with the lyric “What I’ll do to that wild Hungarian,” and Lubitsch seems very pleased indeed with his double entendre and with his use of the word “Hungarian” as a kind of all-purpose punchline. Or maybe it’s Preminger’s cackles we seem to hear. Still, as a vaguely Christmassy (at the end) romance about marriage and dreams and fidelity, maybe you could double-bill it with EYES WIDE SHUT (also completed after it’s auteur’s demise, though at least shooting was finished) for a nice festive Fever-Dream Double Feature? The trouble is, every Garbo movie is automatically a “classic,” but which are interesting? Seen QUEEN CHRISTINA. Probably need to see it again, because I didn’t really get into it. Picked up DADDY LONG LEGS for a pound in a charity shop — didn’t expect too much from it, for whatever reason — but it’s lovely. Of the later Fred Astaire things I’ve seen, it struck me as better than SILK STOCKINGS, for instance — that one is haunted by the spectre of the superior NINOTCHKA. I prefer it to FUNNY FACE too, though that one arguably has better songs (but DLL has a nice bunch by Johnny Mercer). 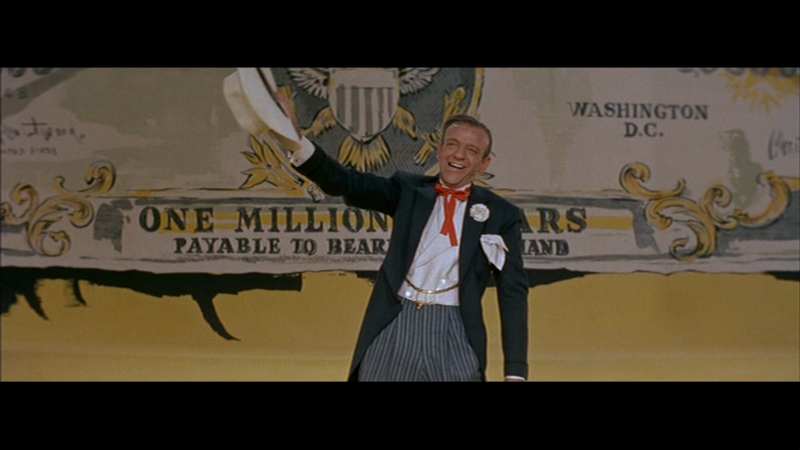 Whereas this one should be troubled by the icky plotline — gajillionaire Fred Astaire sees Leslie Caron in an orphanage, likes what he sees, and decides to adopt her. Well, not quite: he pays for her American college education anonymously. But then she falls in love with the idea of her unseen guardian, and then he meets her, not revealing the connection, and falls in love with her. The clever part is that the screenplay by Phoebe and Henry Ephron has gruff, irascible supporting characters state all the objections to this May-December romance up front, voicing the audience’s own concerns in a killjoy way, forcing us to side with Fred. It helps that Caron is so irresistible. Cinematographer — Leon Shamroy, the King of Deluxe Color, so we get beautiful complimentary tinted tones. Shamroy had a slight tendency to overuse his honey and blue lighting (the orange and teal of his day) but he comes up with some lovely variations here in the night scenes. 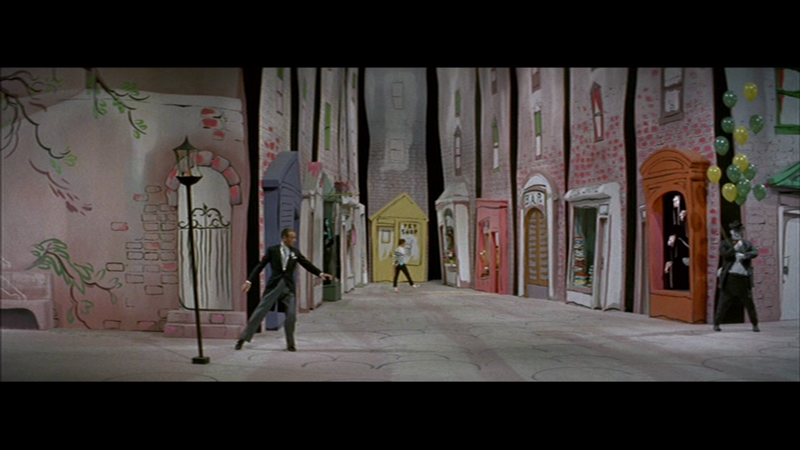 Production designers — Lyle R. Wheeler, “the Dean of Art Directors,” and especially John DeCuir so we get stylised sets with a bold palette which never get garish in an MGM/Goldwyn manner. While THE RED SHOES was clearly an influence on the fantasy sequences, they’re full of fresh visual ideas, stuff you haven’t seen before. The movie is two hours long but doesn’t feel over-padded, much. And in one fantasy, Fred plays an imaginary Texas squillionaire and is VERY funny — fatuous smile, hundred-gallon hat, slow, comical movements. Of course, however ridiculous he makes himself, he’s graceful too.